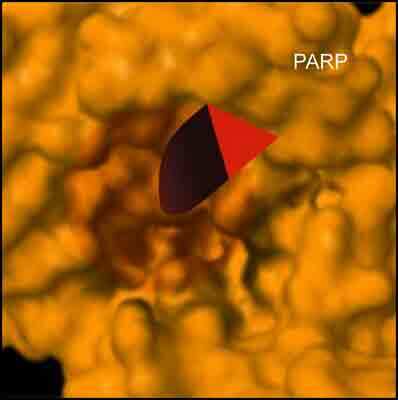 ADP-ribosylation or PARsylation is one of the most abundant modifications of proteins and DNA. Although the usual context for PARsylation involves the detection and repair of DNA damage in the cell, poly(ADP-ribose) polymerases are known to regulate a number of biological processes besides maintaining genome integrity. One of these processes is the assembly and maintenance of the mitotic spindle where the presence of PARP-1 and tankyrase 1 (TNKS1), two of the best-characterized members of the PARP superfamily, is of critical importance. Here, we recapitulate the biological implications of the absence of poly(ADP-ribose) polymerases and depletion of PARsylation occurrence in mitosis in order to better understand the antimitotic effects of PARP inhibitors. In this regard, we also present an overview of the existing and more relevant molecules, with a special attention to the historical development of their pharmacological properties and structures, as well as a brief summary of clinical trials involving PARP inhibitors. Antimitotic, Benzamide, Iniparib, Mitosis, Olaparib, PARP, Spindle, Tankyrase, Veliparib. Molecular Oncology Laboratory MOL, Departamento de Fisioloxía, Centro Singular de Investigación en Medicina Molecular e Enfermidades Crónicas (CIMUS), Universidade de Santiago de Compostela, Spain.